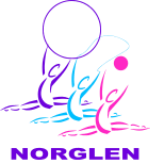 Thank you for your interest in NorGlen Rhythmic Gymnastics! For more information about classes or to contact a coach please email us at NorGlenRGClub@gmail.com. Please note we are a volunteer non-profit organization and therefore, we cannot guarantee immediate response. However, we will try our best to respond as soon as we can. You can also learn more about our club by following us on Facebook, Twitter, and Instagram!